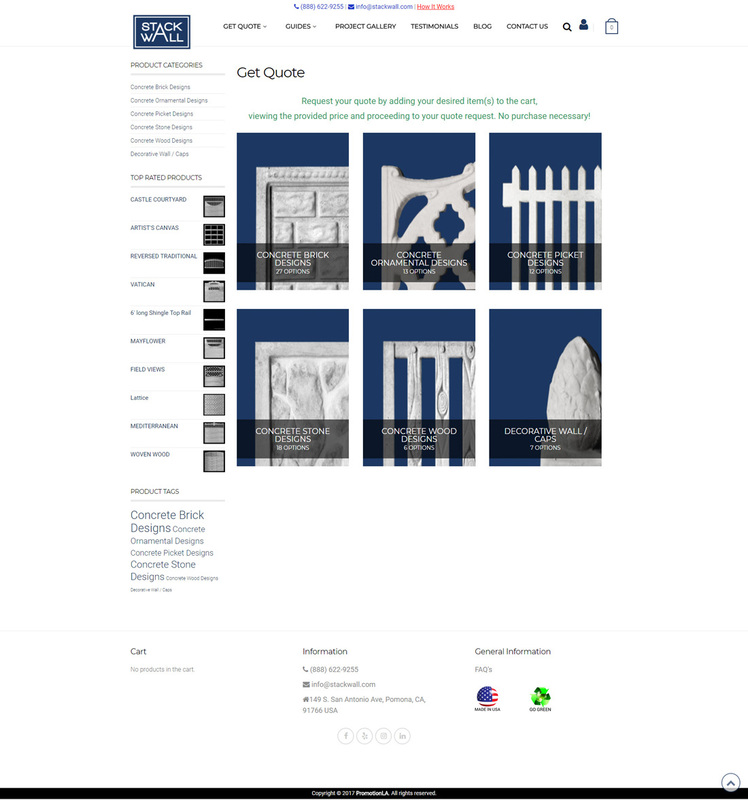 Stack Wall is a concrete fence manufacturer and retailer. Their program allows consumers to receive a free quote prior to purchasing easy-to-install concrete fencing for their property. We created a new look, user friendly site that helps clarify the services of Stack Wall. 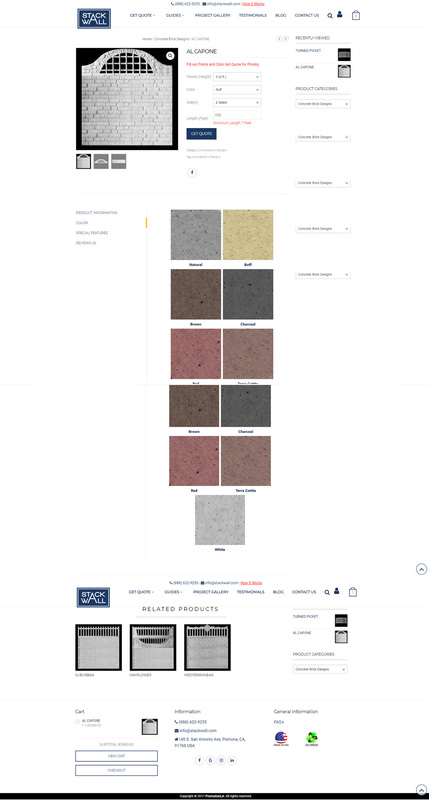 Their deep inventory of products is now laid out beautifully on the site, and the back end is optimized so that prospective consumers can find Stack Wall easily. We’ve also added a blog to their repertoire, giving the site entertainment value.